Creating slots with interesting and never-before-seen topics may not be always the wisest approach — at least not for Playson. Although they often have creative and innovative slot themes, they often get back to the ones that are always popular among the slot lovers, and one of them is the Joker. In fact, a Joker appears in slots by Playson quite often, and these slots are usually the most generous ones. At the beginning of 2019, the team at Playson decided to launch another Joker-themed slot which will be a sort of a sequel to the popular 40 Joker Staxx slot. The sequel is named 100 Joker Staxx, and it was launched on January 10. The slot features some of the standard symbols and bonuses, including symbol stacks, scatter symbol, and the stacked Wild symbol. The name itself already tells us what we can expect from this game. The 100 Joker Staxx has 100 paylines which are very affordable so that even players who play with small bets could cover them all and choose all 100 lines for every spin. The symbols are somewhat expected in this type of game and feature various fruits such as lemons, oranges, grapes, plums, and cherries. Furthermore, you can find standard high-paying symbols such as bells, stars, sevens, bars, etc. If you manage to find five scatters on the reels you are up for a jackpot which is 200x your wager! The minimum bet amount is 0.20 and the maximum is 100.00. Furthermore, next to the standard spin button, the game features a very interesting Autospin option where you can either set the number of automatic spins or set the conditions which will stop the reels from spinning. A game that revolves around jokers, cherries, and bells must feel pretty outdated, right? Well, Playson always pays attention to every single detail in their game which is why they are considered one of the most popular slot providers in the world. They managed to connected the old and the new, thus giving a vintage theme a modern look and connecting the two seemingly distant worlds of classic slots and modern online slots. 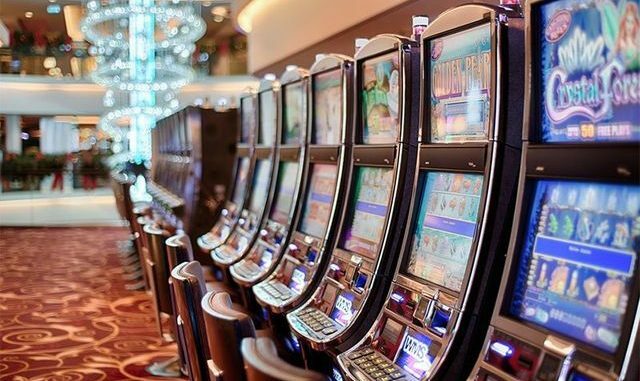 In other words, the gameplay is smooth, shiny, and modern, yet retains something that will remind the players of old land-based casinos filled with slots clinking. You can try this game for free at their official site and test it out yourself. Some of the similar games made by Playson that feature a Joker as a protagonist include 40 Joker Staxx, Lucky Staxx, Fruits & Jokers, and more. In other words, although the theme is more or less the same throughout these games, the team at Playson always finds interesting and creative features which make every game unique and captivating. The most important is that all of their games are very generous and feature high RTP that can make some lucky players wealthy!